I was reading a magazine some years ago and I came across a quotable quote which said: “To provide them with brighter future, give them hope.” I have already forgotten who said those words and in what event, but the statement came to mind when I think of Dr. Mae Concepcion J. Dolendo. Most of those from Davao City know her. She is the driving force behind the House of Hope, which is located inside the Southern Philippines Medical Center (SPMC), the largest public hospital in Mindanao. By being the instrument of building the house, she doesn’t only give hope to children with cancer, she provides them a shelter. To think, Dr. Dolendo was not born in Davao City; she’s originally from Iloilo. She came to the country’s largest city because of her husband, Engr. Gabriel dela Cruz Dolendo. 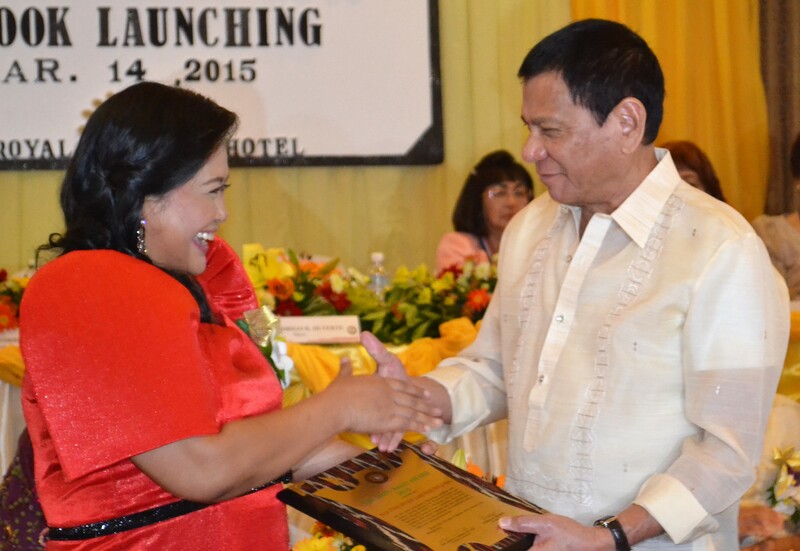 She met him during the national conference convened by YMCA Rizal Youth Leadership Training Institute. Dr. Dolendo is a woman who, once she’s sure about it, devotes her time. Being a wife and mother, she gives her time to her husband and two children. If you can only see her together with them, she’s the most contended woman – happy and fulfilled. When it comes to work, she’s at her best and palpable when she’s with the children who are afflicted with cancer. “The types of cancer that we see in children are different from adults,” Dr. Dolendo told us in one of our interviews. Worldwide, 175,000 children are diagnosed with cancer each year, according to the US-based St. Baldrick’s Foundation, which works closely with leading American pediatric oncologists. In the United States, more children die of childhood cancer than any other disease — more than Acquired Immune Deficiency Syndrome (AIDS), asthma, cystic fibrosis, congenital anomalies and diabetes combined. “Two-thirds of children treated for childhood cancer will suffer long-term effects from treatment including loss of hearing and sight, heart disease, secondary cancers, learning disabilities, infertility and more,” the foundation points out. Cancer is a rare disease among children, occurring in only 1 of 5,000 children every year. “Childhood cancers are usually embryonal or deep seated and aggressive while adult cancers are epithelial in origin and can be slow growing,” Dr. Dolendo explains. Epithelial tissue, which is made up of cells closely packed and range in one or more layers, covers the whole surface of the human body. “In contrast to many adult cancers,” notes The Merck Manual of Medical Information, “cancers in children tend to be much curable.” In fact, the overall outlook for children with cancer has improved greatly over the last half century. Childhood cancer isn’t just one disease. “There are over a dozen types of childhood cancer and countless subtypes, each requiring specific research to develop the best treatment for every child,” says St. Baldrick’s Foundation. The most common cancers of children are: leukemia, brain and other central nervous system tumors, neuroblastoma (a cancer that grows in parts of the nervous system), Wilms’ tumor (a specific kind of cancer of the kidneys), lymphoma (including both Hodgkin and non-Hodgkin), rhabdomyosarcoma (the most common type of soft tissue sarcoma in children), retinoblastoma (a cancer of the retina, the light-sensing area at the back of the eye), and bone cancer (including osteosarcoma and Ewing sarcoma). Unlike adult cancers, childhood cancers are not given much prominence. “I think childhood cancer is a significant problem among Filipinos because we have a relatively young population and children comprise 40% of our population,” Dr. Dolendo laments. Unfortunately, of the 1,000 news cases annually, only 200-250 are diagnosed and able to access treatment. Although childhood cancer is curable, Dr. Dolendo says the treatment may take several months and even years for some. “I think one of the major stumbling blocks in the treatment and cure among children with cancer is the lack of access to health care institutions that can provide multispecialty care,” she says. There’s an interesting story on how House of Hope came to be. “When I came back from training in 2004, it was very difficult to help patients because despite the fact that I know how to treat them, majority of patients had difficulty coming for treatment. Chemotherapy medicines are expensive and treatment protocols are long term. Many patients often drop out of treatment or out rightly refuse further treatment. “I had many friends who wanted to help and I thought it was appropriate to have a charity organization where this help could be channeled,” she says on how Davao Children’s Cancer Fund, Inc. (DCCFI) came into fruition. It was SEC-registered on May 4, 2004. In 2007, the House of Hope, a single-floor facility with seven rooms, was launched. Two caregivers are allowed for each patient; the caregivers help keep the house and its environment clean in exchange for a free stay. Those who stay at the House of Hope are not only from the far-flung places of Davao region; some come from provinces as far as Zamboanga, Cotabato, Saranggani, and Surigao. 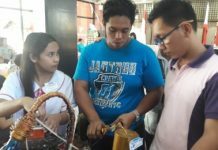 “In fact, there are those from the Visayas and even from Luzon who came here for treatment,” Dr. Dolendo says. Unlike adult cancers, childhood cancers are not given much prominence. 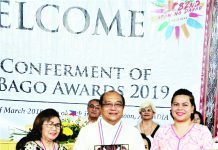 “I think childhood cancer is a significant problem among Filipinos because we have a relatively young population and children comprise 40% of our population,” Dr. Dolendo deplored. Indeed, she has gone a long, long way. She dreamed of becoming a physician when she was only 9 years old. “There was no doctor in the family but the father of my classmate was a doctor and I thought it was such a cool job looking after sick people and making them well,” she recalled. Her dream even became stronger when her beloved mother died of breast cancer. She was 17 at that time. “It was a difficult, life-changing experience that maybe led me to where I am now,” she admitted.